Try the Ecosa mattress and pillow for 100 days and let your body decide. Our rules are simple. If you don't like it, we refund it! If you’re not completely satisfied within 100 nights of sleeping on your new Ecosa mattress, you may return it for any reason. You are also entitled to a full refund or exchange for a different mattress size. Great things take time! To be eligible for return, you must have been sleeping on your Ecosa mattress for a minimum of 14 nights. It can take any time between 2-4 weeks for your body to adjust to any mattress. If you are not completely satisfied after this trial period, contact us within 100 nights of purchase to initiate a return. We never resell a used mattress! Your original mattress will likely be donated to charity to help those in need. We work hard to make the returns process as seamless as possible by providing free pick-ups USA-wide. Once you contact us, we will organise a pick-up from one of our partner charities. Collections may take up to 10 business days. However, there are areas outside of metro and regional cities that they may not reach. For areas outside of metro and regional cities where our partner charities may not reach, we will help you contact other local charities that can pick up from your area. After all options have been exhausted, we might ask for your help to deliver to your nearest charity. Once you send in your donation receipt, we will issue your full refund. Please note that, in all cases, the original receipt showing proof of purchase is required. Any mattress that has mold, dirt, stains, smells, or bed bug infestations resulting from poor mattress care are no longer eligible for a mattress return nor replacement. This policy is limited to one (1) mattress to be returned or exchanged per household. All returns are only applicable to a customer's first order. Please contact us directly in no later than 100 nights after the delivery of your mattress. In the case of an exchange, you’ll be responsible only for any difference in pricing. We will cover any additional shipping expenses. If you’re not completely satisfied within 100 nights of sleeping on your new Ecosa pillow, you may return it for any reason. You are also entitled to a full refund. Great things take time! To be eligible for return, you must have been sleeping on your Ecosa pillow for a minimum of 14 nights. It can take any time between 2-4 weeks for your body to adjust to any pillow. 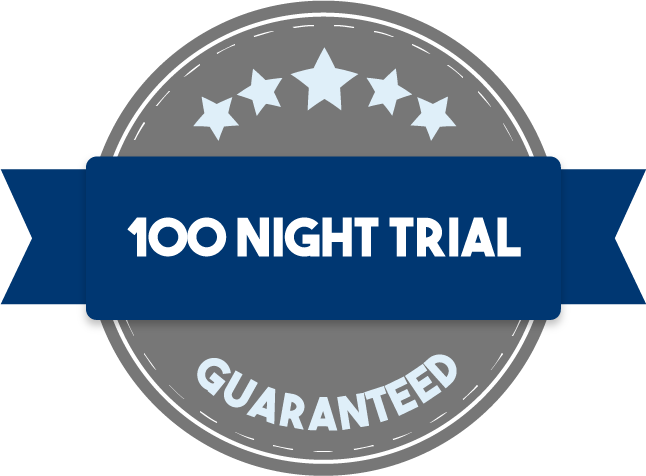 If you are not completely satisfied after this trial period, contact us within 100 nights of purchase to initiate a return. We never resell a used pillow! Your original pillow will likely be donated to charity to help those in need. We work hard to make the returns process as seamless as possible by providing free returns USA-wide. Once you contact us, we will provide you with a pre-paid postal label. Just attach the pre-paid label to the box and pop the pillow in the post back to us. Once posted, just email us a photo of the lodgment receipt so we can monitor the tracking, we will then process your refund once the parcel reaches our charity partner. Any pillow that has mould, dirt, stains, smells, or bed bug infestations resulting from poor pillow care are no longer eligible for a pillow return nor replacement. This policy is limited to two (2) pillows to be returned or exchanged per household. All returns are only applicable to a customer's first order. Please contact us directly in no later than 100 nights after the delivery of your pillow(s). Returned mattress will be donated to charity. If for any reason you are not happy with the Ecosa, just email us to let us know and we will arrange to have the mattress collected by the Salvation Army to be donated to families in need. Once the mattress has been collected you will be issued with a full refund. There is no need to keep the boxes or packaging, if a return is required the charity will collect the mattress at full size as long as it is in clean condition with no rips, tears or stains. Ecosa will arrange to have the mattress collected by the Salvation Army to help families in need.